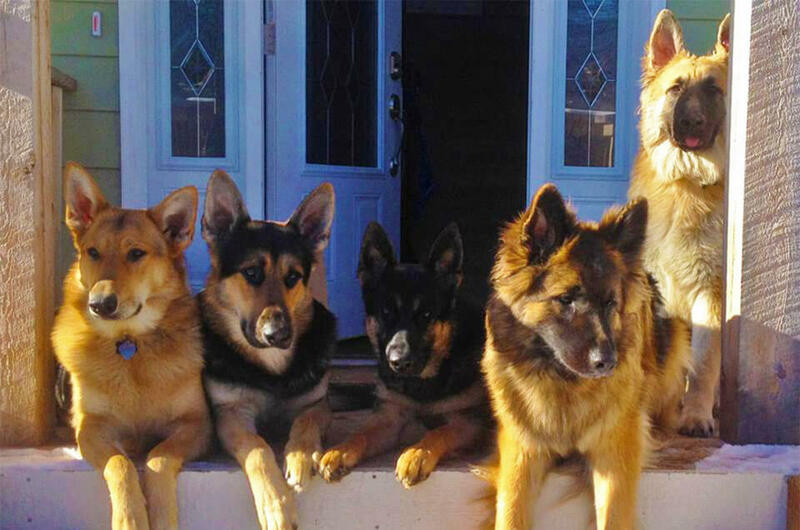 Our German Shepherds are our lives. 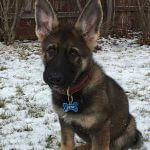 We’re dedicated to breeding healthy German Shepherd puppies with calm temperaments that make awesome family members. 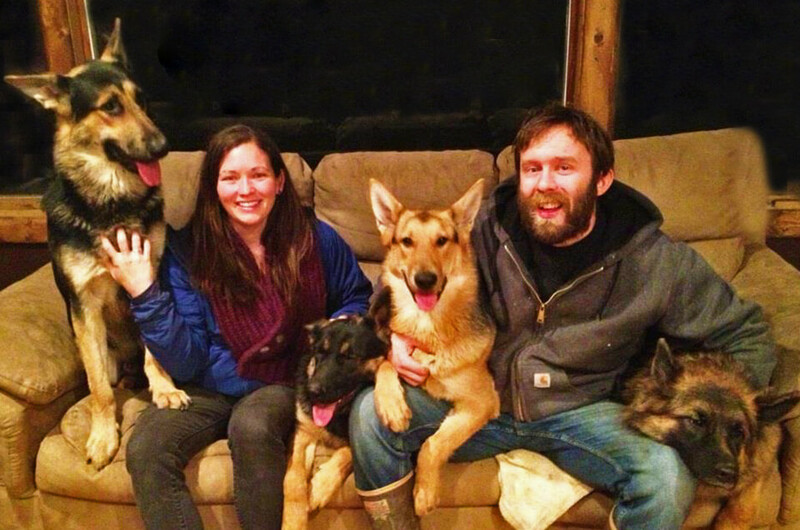 Our dogs are our children, so their puppies are pretty important to us. We pay close attention to where every single one of our German Shepherd puppies go and are committed to them for their entire lives. 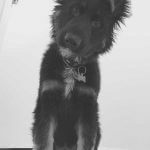 We figured that you might want to know a little more about us and why we decided to start breeding German Shepherd Puppies in the first place. 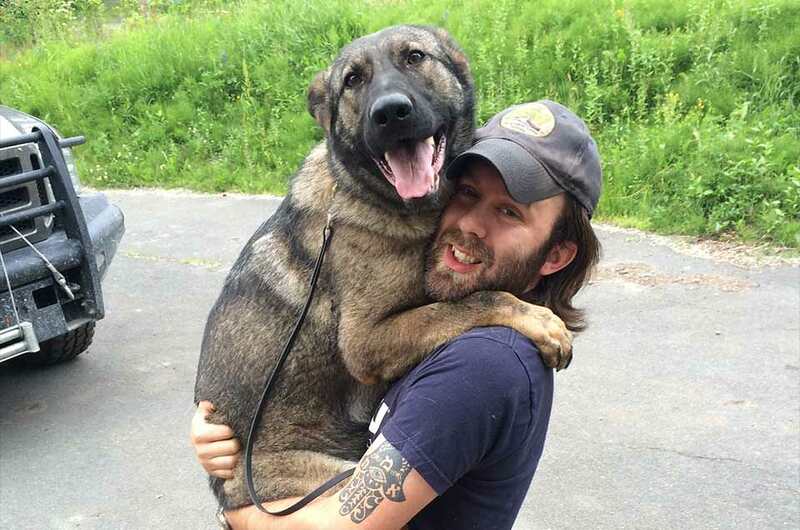 Our friend Ryan from Tell made this cool video about us and our German Shepherds and we thought you might enjoy it! 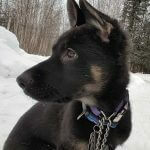 One of the first questions people who are interested in one of our German Shepherd puppies ask is where we’re at. We live up on the hillside in Anchorage, Alaska. We love living in Alaska and all of the unique opportunities and awesome recreation it offers. 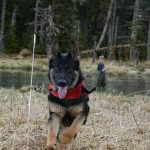 Visiting Far North and our German Shepherds is a great opportunity to do that trip to Alaska you’ve always wanted! We got started the same way anyone does something crazy… by mistake. We kept doing it because we love it. We spent years learning about dogs, training dogs and working to understand the relationships between people and their dogs. 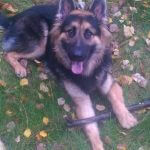 This is a crucial piece of our kennel, we work extraordinarily hard to put a puppy in a home that it has the right temperament for and will thrive in. It doesn’t matter how pretty a dog is if you hate it. 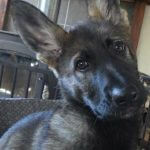 We work with people to learn about what it is that they are looking for in a German Shepherd puppy and what they want it to be like as a dog. We’re never afraid to refer people to a different breeder if we feel like we know of a better fit! We are committed to ethical breeding. 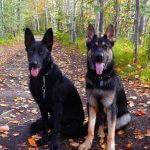 We promised each other that money would never come before dogs or people and that we would always maintain our commitment to the betterment of the German Shepherd Dog as a breed. Our love for their unique abilities and the magic that relationships with them brings to our lives has never dwindled. About half of the dogs the dogs that live at Far North are spayed or neutered, whether because of a genetic flaw we found through testing or a temperament issue. Dogs that end up unable to breed for one reason or another don’t get kicked out of our pack and sent to live somewhere else… they are as much a part of our family as the ones that do breed. They live out their days in pure bliss at FNK. Hey! 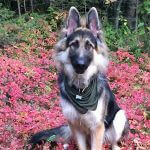 I’m Josh and I’m your primary contact at Far North Kennel. That’s Vanta in the picture with me on the right. 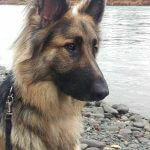 She’s from an awesome kennel in the Czech Republic called Aritar Bastet. Vanta loves German Shepherd puppies whether they are hers or not. She’s a total sweetheart and an incredible mom; one of our best, really. I love what Theresa and I get to do and really see it as a privilege. 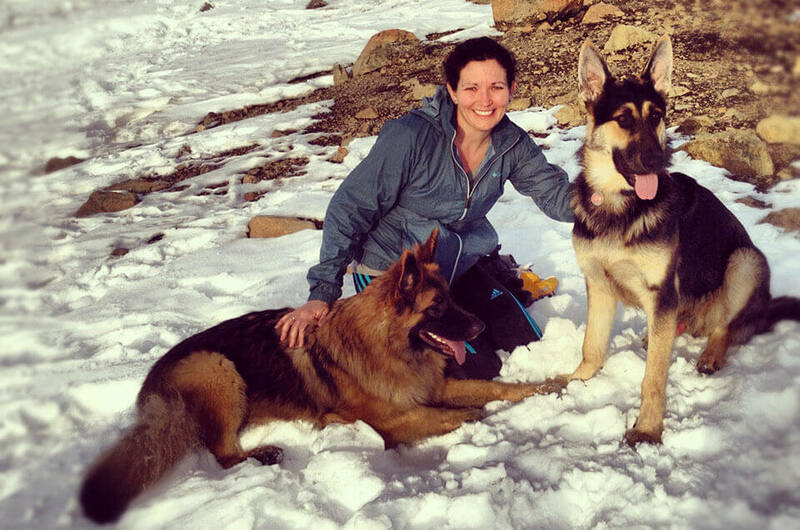 Our German Shepherds have improved our lives in so many ways and I love getting to share that with other people. I love getting emails, pictures and visits from families that have one of our dogs. I also love the Seattle Sounders, pizza and making fun of my friend Louis. You can always email me at [email protected], but I’ll warn in advance that sometimes you might have to email me twice. We get a lot of email and sometimes it is hard to put down the chuck-it and sit down and write emails. I always try to respond in the order received, but thoughtful emails definitely get a reply quicker! Hi! I’m glad you’re visiting our About Us page. I really love German Shepherd puppies. I love watching them develop, watching our girls be proud mamas and seeing the joy that having the right dog brings to people’s lives. I really enjoy studying genetic patterns and understanding what alleles bring about certain traits in German Shepherds. Owning a kennel takes over your life, there are no weekends off with live animals, but I love it. These are truly magnificent creatures and I wouldn’t trade hanging out with them for anything. I love the Seattle Sounders more than Josh, love pizza a little less than him and I do enjoy watching him make fun of his friend Louis. Our ethics rule our business. We screen our dogs for a host of genetic flaws and pay close attention to their lineage and behavioral traits. We will always put ethics at the forefront of our breeding. 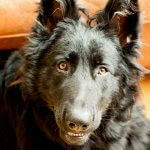 We will never breed a dog that has or carries any known genetic defects or behavioral problems. Our promise to you is that we will only give you a puppy that is healthy enough that we would keep it for ourselves. We always encourage you to contact us with any questions you might have. 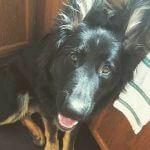 You can ask us about dog training, behavior or finding a new puppy. 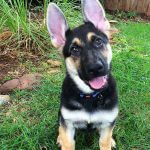 We’ll help you even if you haven’t gotten a puppy from us, don’t intend to or even if you don’t own a German Shepherd. We do this simply because we absolutely love our dogs and want to share the joy that they have brought to our lives with you. We do get a lot of email and do our best to reply to every email as fast as possible. Thoughtful emails will always get a reply faster.